Availability may be limited, and not all resorts may be available for all dates. Some minimum stays may be required, weekday and weekend rates may differ depending on resort. Offer available to active duty military, activated reservists and retired military. Proof of Military eligibility is required at check in. The 2017 Quick Service, Disney Dining and Disney Deluxe Dining plans are also available to add to the room only reservations, if you are interested in a dining plan. The dining plans are a great way to budget and save money while visiting Walt Disney World. Dining plans are not discounted. Tickets may not be added to these special military room only discounts. For eligibility questions, please contact Shades of Green, they will be able to help you, we will not. 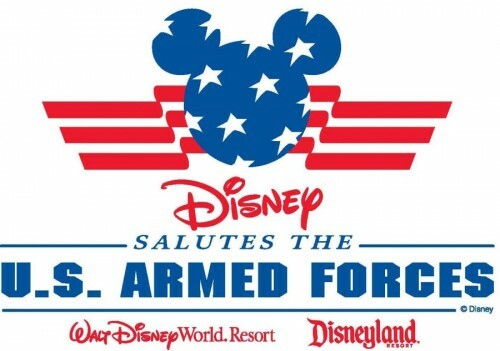 Walt Disney World has just announced that Active and Retired U.S. Military, including members of the U.S. Coast Guard and active members of the National Guard or Reservists, may purchase 4 or 5 Day Walt Disney World Armed Forces Salute Tickets for themselves and up to five (5) family members and/or friends. That is a maximum total of 6 tickets that can be purchased by each military member. If your immediate family is larger than 6, exceptions will be made to allow you to purchase enough tickets for your immediate family. Please note these ticket prices do not include tax. If purchased on base or at Shades of Green, no sales tax will be charged, but tickets purchased at WDW ticket windows will incur local sales tax. The Park Hopping ticket is valid for four or five days of admission (depending on the park pass length) into the four Walt Disney World theme parks (Magic Kingdom, Epcot, Hollywood Studios or Animal Kingdom Park). The Water Park and More option gives guests a total of four visits to a choice of a Disney water park, DisneyQuest Indoor Interactive Theme Park or certain other attractions. During this offer period, active or retired U.S. military personnel may make a one-time purchase of up to a maximum of six 4 or 5 Day tickets (one theme park per day) for family members (including spouse) or friends. All tickets and options are non-transferable and must be activated and purchased by December 19, 2017. Black out dates exist for these tickets, as mentioned above. “Eligible Service Members” are active or retired members of the U.S. military, including the National Guard, Reservists and the U.S. Coast Guard. Disney 4 and 5 Day Military Promotional Tickets for admission to the Walt Disney World Resort are not valid until activated by the Eligible Services Members (or their spouses) at Walt Disney World theme park ticket windows. Tickets and options expire and may not be used after December 19, 2017. Valid military identification will be required for purchase and use. No more than six (6) Disney Military Promotional Tickets may be purchased and (if applicable) activated by any Eligible Service Member or spouse (regardless of the place of purchase and whether purchased by that person or that person’s spouse), and all six (6) must be purchased at the same time. Accordingly, no Eligible Service Member (or spouse) may purchase Disney Military Promotional Tickets at any military sales outlet if that person (or that person’s spouse) previously purchased Disney Military Promotional Tickets (whether at that same military sales outlet or at any other military sales outlet or at any other place. In addition, one of the six (6) Tickets purchased must be used by the Eligible Service Member or his/her spouse. 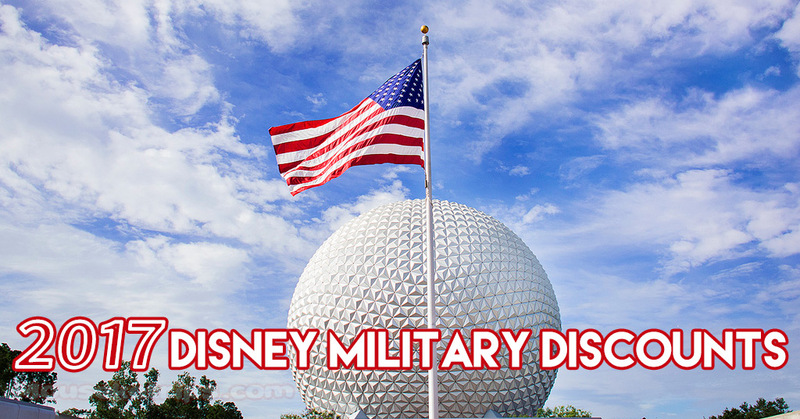 For information regarding Disney 4 or 5 Day Military Promotional Tickets for admission to the Walt Disney World Resort, or to make room reservations at the Walt Disney World Resort, military personnel may call 407-939-7830 or participating U.S. military base ticket offices. For information regarding Disney 3 or 4 Day Military Promotional Tickets for admission to the Disneyland Resort, or to make room reservations at the Disneyland Resort, military personnel may call 714-956-6425 or participating U.S. military base ticket offices. Information is also available at disneymilitarysales.com. Disneyland has just announced that Active and Retired U.S. Military, including members of the U.S. Coast Guard and active members of the National Guard or Reservists, may purchase 3 or 4 Day Hopper Disneyland Armed Forces Salute Tickets for themselves and up to five (5) family members and/or friends for $156 each for a 3-day hopper and $181 each for a 4-day hopper. That is a maximum total of 6 tickets that can be purchased by each military member. These tickets may not be used between April 9 through April 23, 2017.